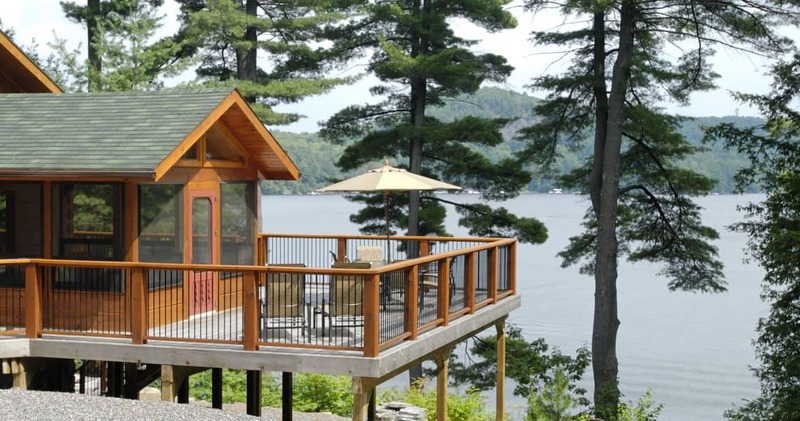 Lake of Bays is a real showstopper. It’s what’s made it so popular over the years. It’s also a bit of a chameleon. 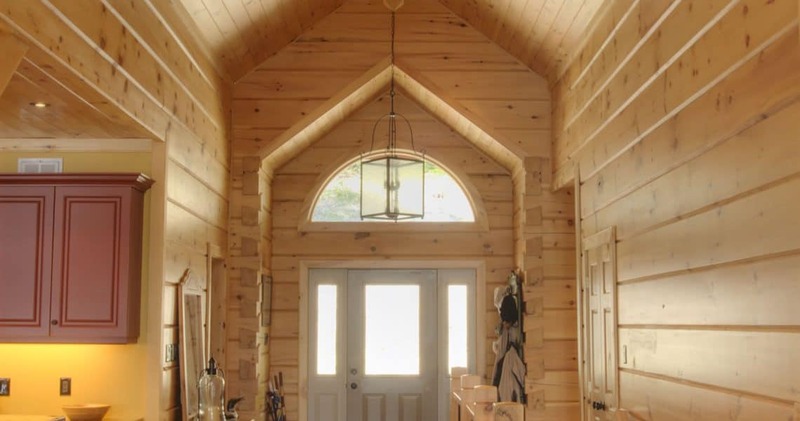 In this particular case, what appears to be a single story cabin is actually two stories, complete with a walkout basement to maximize natural light – doubling the square footage. 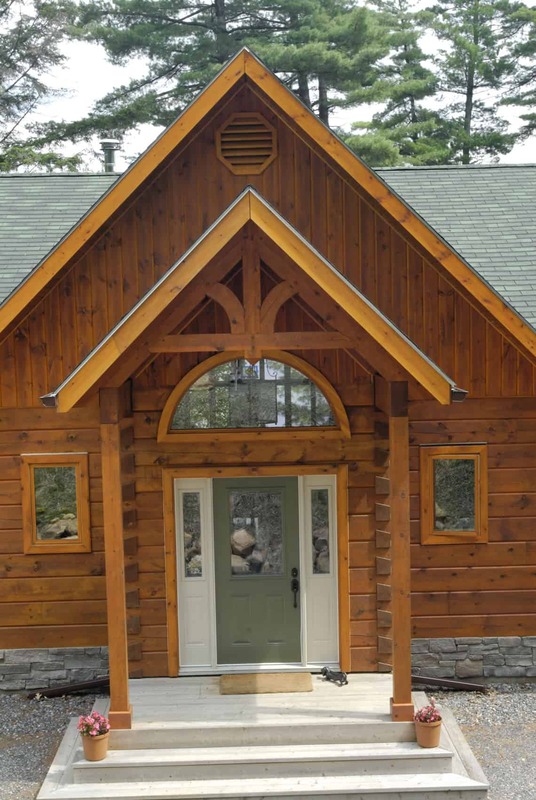 The classic Confederation log main level is beautifully complemented by the stone walkout on the lakeside. 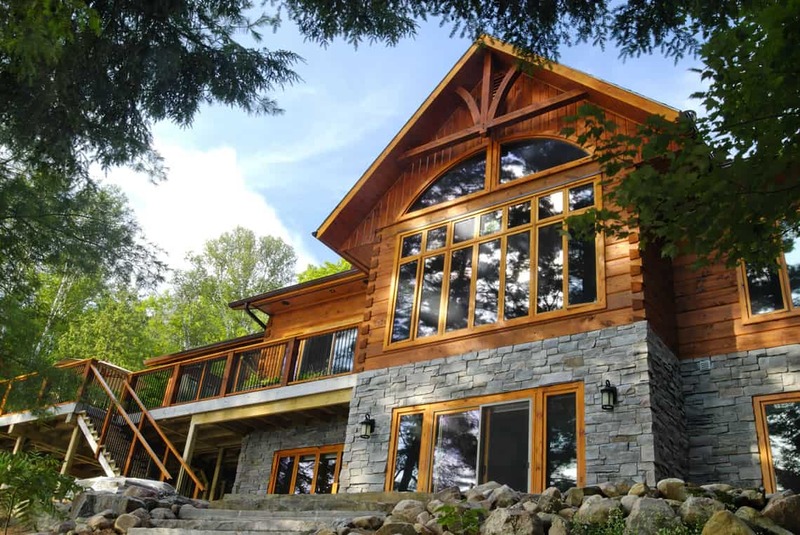 Built as a cottage for clients on Lake of Bays, Ontario, it’s crafted to capture lake views from every possible angle. 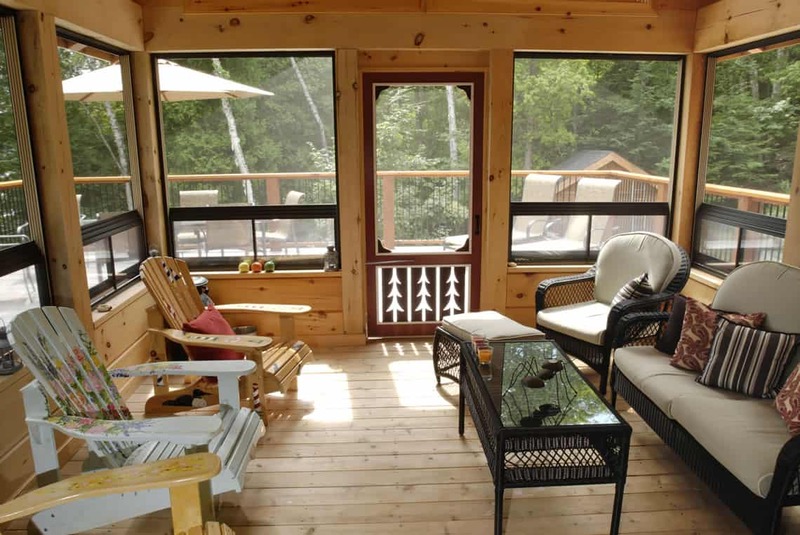 Open concept with a screened porch opening onto a patio, it’s a true escape, ideal for couples, families—and entertaining. 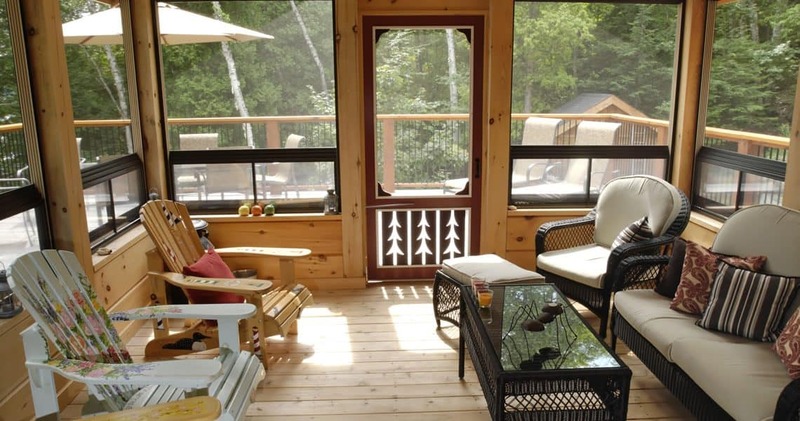 The gourmet kitchen is flanked by a nook and offers direct access to the porch and patio through french doors. 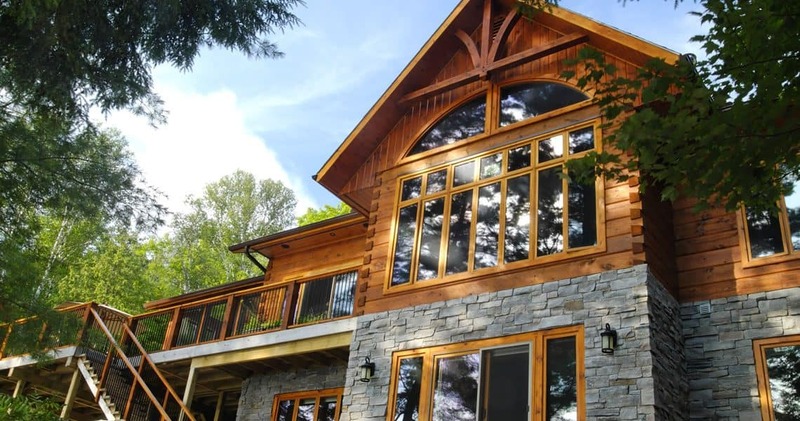 Featuring large windows throughout the home and two unique cathedral ceilings, natural light and space is optimum in Lake of Bays. The entry cathedral ceiling grandly welcomes guests, who are treated to another cathedral ceiling in the living room. 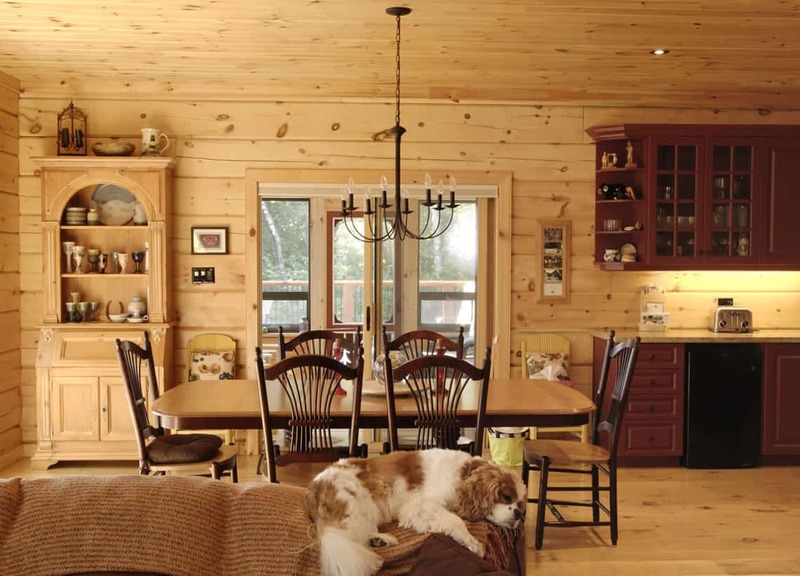 As we often say, ceilings offer opportunities for log and timber drama – and these two cathedral ceilings are no different. 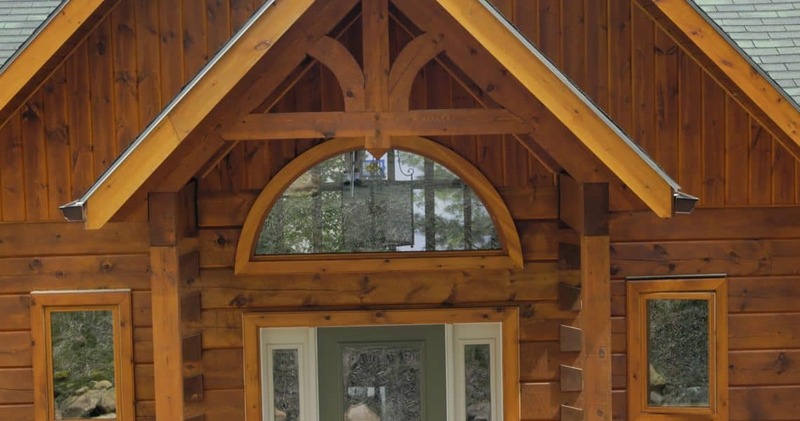 Four interior dovetail corners, two in the entry and two in the great room, are in keeping with the intricate detailing of the Lake of Bays design. 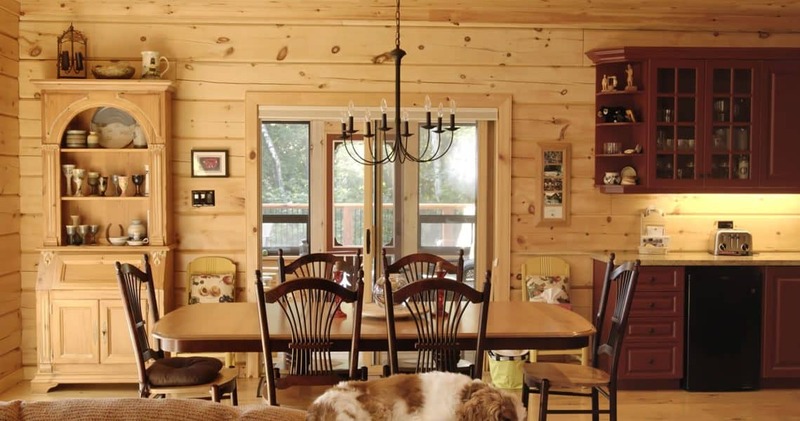 Both functional and stunning, this customized home is rich with warm wood from floor to ceiling. 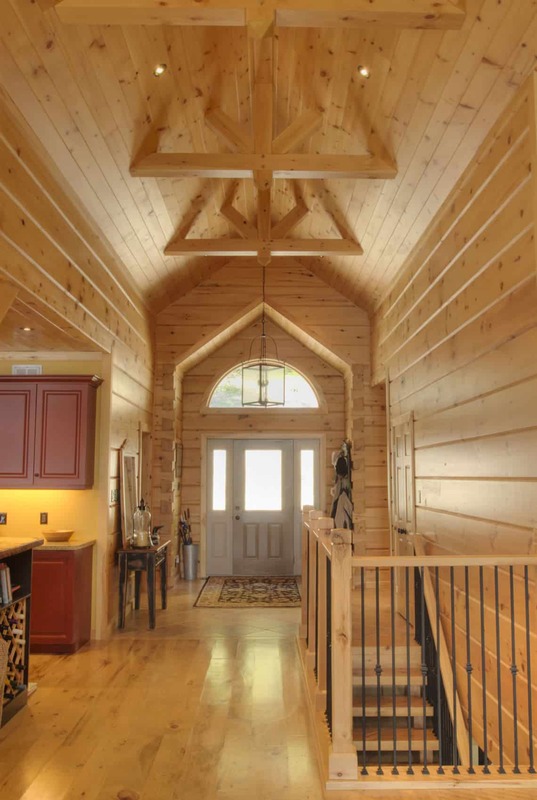 The timber frame entrance outside is reflected inside with timber accents as you make your way toward the kitchen and great room. 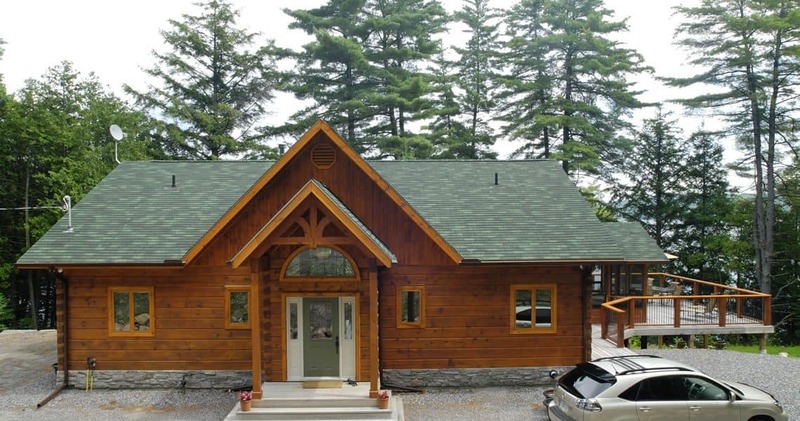 Complete with a main floor master and main floor laundry, this bungalow-style home is idyllic for retirees or anyone who prefers to keep stair usage to a minimum. 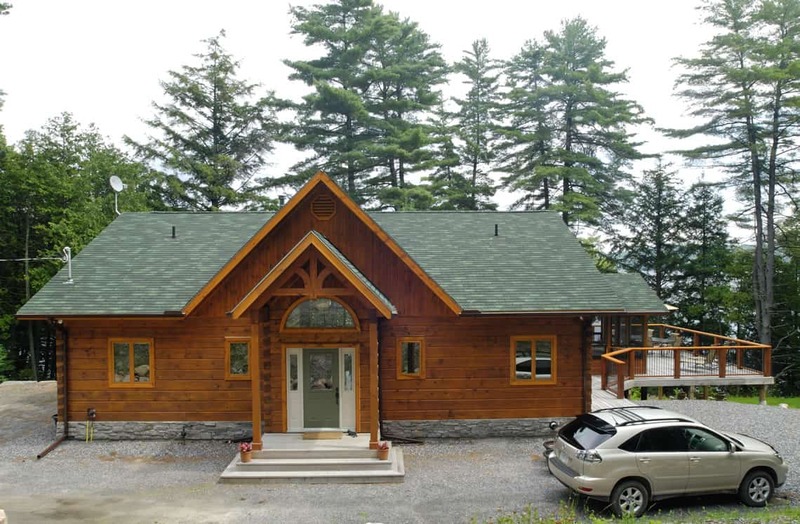 But it could be the perfect cottage that becomes the ideal place to retire to. A spacious home office allows for work in paradise with plenty of inspiration just outside the windows. With additional bedrooms in the basement, homeowners enjoy maximum privacy on one level with older children and guests and lower bedrooms. 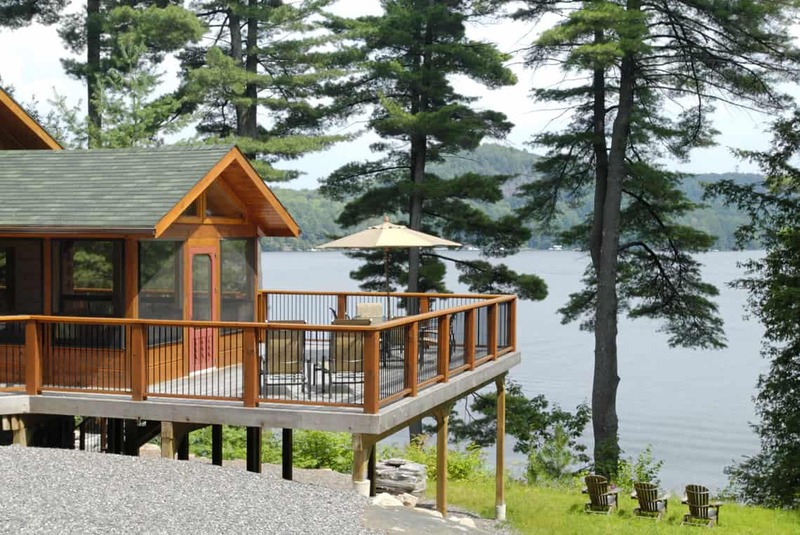 Lake of Bays is a lovely and popular choice for anyone who adores the beauty of traditional cabins, but also wants the comfort that only luxury craftsman can provide.